An administrative law judge at the U.S. International Trade Commission recently found patent infringement in Qualcomm’s case against Apple (See Qualcomm v. Apple), but then inexplicably refused to recommend that the commission issue an exclusion order against infringer Apple. The ALJ found that Apple’s iPhones, manufactured in China, containing Intel chips, also made in China, infringe Qualcomm’s patent #9,535,490. Apple’s product may have been designed in Cupertino, California, but Chinese workers in Chinese factories make these patent-infringing imports. This makes Apple little more than any other Asian implementer. The ITC’s job is to protect against the importation of infringing goods, as this is considered an “unfair trade act” for purposes of the ITC. When infringement is determined, an import ban shall be issued unless doing so is against the public interest. In other words, an import ban is presumed in these cases. This should be a slam-dunk for Qualcomm. To be clear, the ITC has only one remedy available in Section 337 cases: an import exclusion order. The commission cannot award monetary damages or any other damages, under current law. In all previous smartphone cases before the ITC, when an importer was found to infringe, the commission has always issued exclusion orders. In its history, the commission has only previously denied an import ban three times when finding infringement. Pender argued that Qualcomm is an “established and profitable” company and has the resources to pursue Apple for patent infringement – which is exactly what Qualcomm was doing in this case. The ITC is charged with defending IP and patents for all companies. Is there some new standard that “established and profitable companies” are no longer deserving of ITC action? It so happens that Apple leads the pack of “established and profitable” firms. Apple has “reported its fourth consecutive quarter of record revenue and profit” experiencing its “best year ever,” the Wall Street Journal writes. Apple doesn’t need and hardly deserves special protection for its patent infringement, particularly in light of its latest profitability coming from price increases on iPhones (including infringing ones) and app sales. Pender also argued that allowing an exclusion order would harm Intel and may lead to its exiting the baseband chip market. It is not the ITC’s role to protect specific competitors, but to enforce the law and take action against “unfair trade acts.” Intel itself is a powerful company that touts its role in 5G leadership. It’s hard to believe it would exit the market, after a single ITC ruling to block infringing technology. This decision sets a disturbing precedent for the ITC. 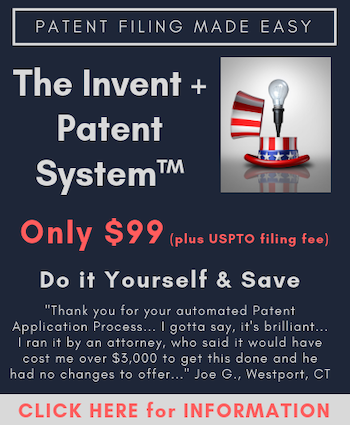 Never before has an administrative law judge at the ITC found patent infringement and not recommended an exclusion order. There is no public interest that should allow that. I trust that the ITC commissioners will exercise adult supervision over pretty flimsy reasoning. This adjudicatory refusal to act is tantamount to abrogating the rule of law. Declining to recommend the ITC’s remedy when patent infringement is found here denies the American patent owner, Qualcomm, the right to exclude others from using its patent-protected technology. The company inventor is merely asking the ITC to keep products that infringe its patents out of the United States. Of note, the patent asserted and found infringed is not a standards-essential patent. Qualcomm has every right to exclude patent aggregators such as Apple from using its inventions. The semiconductor and wireless communication leader has no obligation to license anyone to use these chips or to accept a fee Qualcomm regards as unreasonable. First, Qualcomm structured the request for an exclusion order in a way that would continue to allow Apple to import some devices. It carved out of the exclusion order request those Apple devices that contain Qualcomm’s chips, as Apple pays Qualcomm for the chips in those devices. Thus, American consumers will not suffer if Apple can’t import its devices that infringe the IP of one of America’s premier R&D firms and contain a rival’s infringing chips. Consumers also still have noninfringing iPhone models available, as well as other smartphone makers’ devices to choose from. Apple, the most profitable company in the world, might lose some revenue, but it would still capture significant revenues from its other products and its services such as iTunes. What will be harmed, absent an exclusion order in this case, is U.S. leadership in 5G technology. Qualcomm has long been the R&D arm of the wireless industries, contributing the lion’s share of innovation to 3G, 4G and now 5G even as companies like China’s Huawei play a greater role in working on standardized technology. And while 5G may be the focus of the national security concerns at issue here, it’s worth noting that Qualcomm’s patent actions against Apple at the ITC and elsewhere cover a handful of its myriad nonstandard contributions to products like Apple’s, making possible the likes of mobile video, app store operation, GPS navigation, power conservation and so much more. Judge Pender pointed to the race for 5G as part of his “public interest” justification claiming that it will harm Intel’s involvement in the race for 5G. While it is true that Intel has been heavily invested in 5G, that firm is not working on the standards on which 5G will run, which is fundamental and where Qualcomm leads. Intel may be a contributor to the 5G ecosystem, but Qualcomm is building the backbone of that ecosystem. Additionally, with all that Intel appears to have invested in 5G, it’s far-fetched to believe it would leave its segment of this emerging technology. Ironically, the thing that will ultimately harm the United States in the race for 5G leadership is the devaluing of patent rights. If we make it harder for companies and individuals to defend their IP, it will destroy the incentive system we need to maintain that global leadership. A few months ago, CFIUS recognized the important role that Qualcomm holds in the race for global 5G leadership and the national security and economic implications that go with it. Qualcomm, like anyone else, should be able to enforce its property rights and send a message to others that they cannot get away with patent infringement. In the fight for 5G technological leadership, it’s Qualcomm and Huawei in critical areas. And the Chinese mean business. The Chinese “government leaned on Chinese companies to vote for [Chinese ‘polar coding’ technology] en masse at a key standard-setting meeting” in 2016, the Wall Street Journal reports, gaining polar coding’s inclusion as part of a 5G standard. It should be noted that neither Apple nor Intel has made a standard-setting contribution in 5G. Neither brings innovative leadership to 5G’s platform development, certainly nothing approaching Qualcomm’s global leadership. Both patent infringers will benefit from Qualcomm’s contributions in the development of 5G. And the American public will benefit from Qualcomm’s efforts as 5G adds $3 trillion to U.S. GDP and 3 million new jobs. Finally, the International Trade Commission is in danger of causing the same harm to patent rights as the U.S. Supreme Court has inflicted on patent owners with the court’s lame-brained eBay decision. In eBay, the high court made it more difficult for patent owners to obtain injunctive relief under its four-part test This has given patent infringers leverage to demand below-market licensing fees. Prior to eBay, federal courts finding infringement presumed to issue a permanent injunction — to shut down infringers’ continued commercial infringement activities of making and selling knockoffs. If Pender’s highly unusual decision marks the eBay-ization of the ITC, then enforcing patents will have become even more difficult — and enabling foreign gamesmanship against U.S. firms like Qualcomm. Ironically, eBay had the effect of steering more patent infringement complaints to the ITC. Is this the next shoe dropping? When the ITC considers the administrative law judge’s recommendation in this Qualcomm-Apple case, commissioners should consider the precedents of presumptively remedying patent infringement with an exclusion order. They should abide by the rule of law. They should reject the supposed “public interest” Judge Pender conjures, and find in favor of the patent-owning, standard-setting, R&D-leading, American firm — the one that invents the inside components of smartphones rather than the aggregator of others’ patents into a $1,000 phone. For those of us who understand what’s at stake in the future of U.S. innovation, we understand that it’s Qualcomm that should get justice, including on the basis of public interest. The coddling of the criminals running Intel, Inc. knows no bounds, in the government of the U.S.A. This is a company that – at the very height of the reaction against the market abuses of Microsoft in the `1990’s, had consent decrees against it in at least five of the G8 nations. Those judiciaries saw Intel – not battering-ram Steve Ballmer’s Microsoft – as a more criminal actor, in its deceits and power ploys. Here, an ITC judge sees fit to make an historic exception that benefits primarily ONE company – the ‘hallowed’ teflon-Don of *Intel, Inc.* – the mobsters of the semiconductor and computer world – once again. The future of the U.S. economy, “doesn’t matter”. How is the ‘public interest’ defined in regards to IPC’s charter? Is there a clear-cut definition or is that left up to the judge to interpret/determine? It’s not technically accurate to say exclusion orders are the only remedy available—they can issue cease and desist orders that affect stocks or actions entirely within the US. But I take your point that monetary damages are generally unavailable.